EVENT HAS BEEN CANCELLED DUE TO INCLEMENT WEATHER! We’re sponsoring some fun events with the City of Jeffersonville in 2018. Here’s the first of the season. 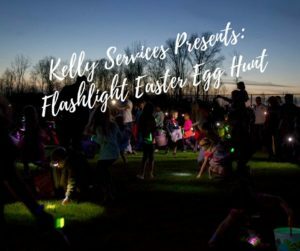 Bring your flashlight to find eggs filled with candy and prizes in this fun hunt for 10 and under! When the park is dark, your flashlight will be your guide to candy, eggs and prizes! Inflatables, DJ, games, face painting and more will be a part of this fun filled evening! Please bring your own light and basket. Check-in will begin at 6:30pm. Please see below for age specific hunt times. This is a FREE event, but you MUST PRE-REGISTER! What if it’s raining? In the event of inclement weather, please check the website or Jeff Parks Dept. Facebook page for details.